Damian Lillard is already on fire. 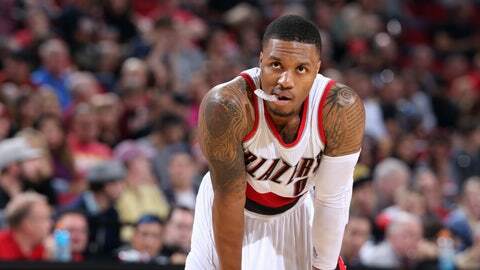 Portland's regular season has not started yet, but that's probably news to Damian Lillard. The Trail Blazers point guard played 42 minutes on Sunday night in an overtime win over the Utah Jazz. Lillard is now averaging 23.7 points and 4.0 assists per game in three preseason contests. He's getting to the line, firing threes up at will and looking like a star. Will it be enough to lift Portland throughout the regular season? Probably not, but watching him dominate sure is fun.